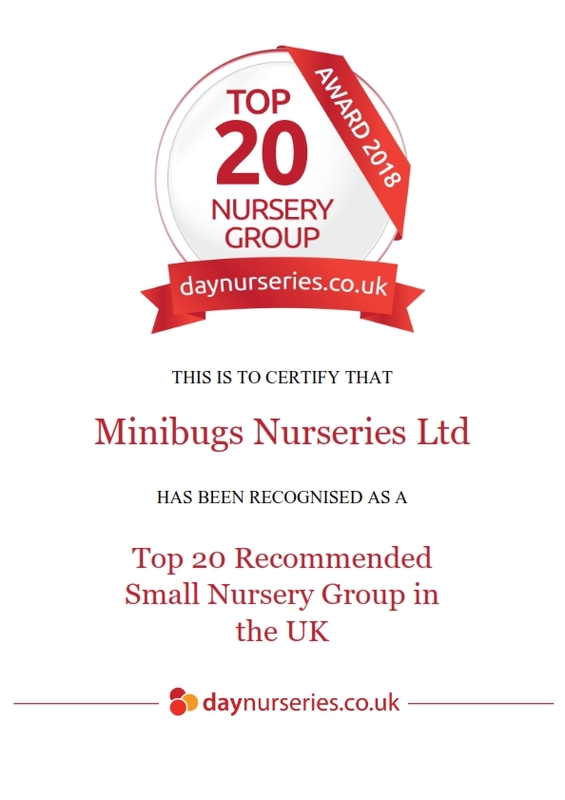 Minibugs Nurseries have received two awards in this year’s Day Nurseries Top 20 recommended nursery awards 2018. 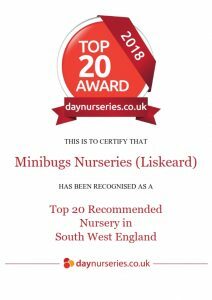 Minibugs has been recognised as one of the Top 20 Small Nursery Groups (UK wide) and Minibugs Nurseries Liskeard recognised as one of the Top 20 Nurseries in the South West of England. This is an amazing accolade for our teams and company, especially when we are still such a young organisation (we are not even 2 years old!). The awards are based on reviews from parents, which makes this even more special and something we feel incredibly proud about. To have such positive parent feedback is testament to what an amazing team we have at Minibugs and the warm and caring experience we are providing for our children and parents. Our aim is to create happy and caring places where our mini people can grow and thrive. We want every child to be their own individual person where they are free to explore and learn through a range of experiences and activities. Effective parent partnerships are critical to achieving our aims. As a young organisation we are on our journey to outstanding and have a committed team who continually strive for the highest standards. These awards are a clear indicator we are on the right path. Well done team and a huge thank you to our parents for their support and positive feedback.